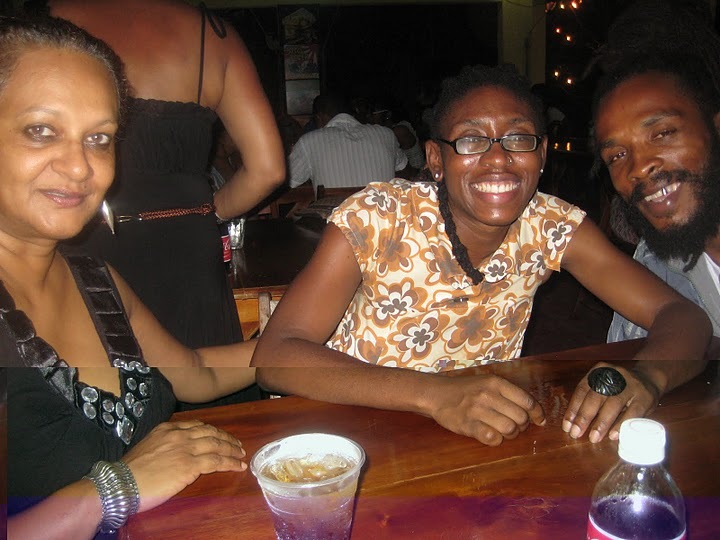 Calabash 2010 was magical. 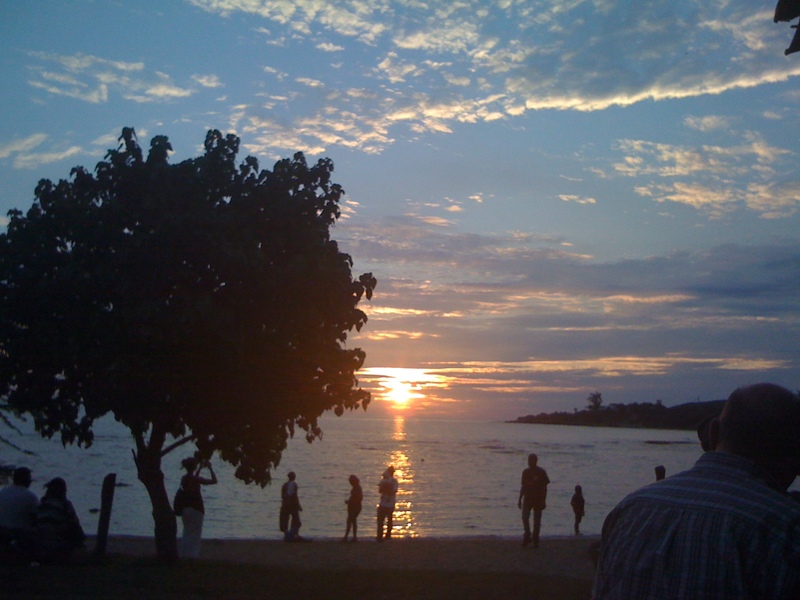 For those of us who came from Kingston it was like a huge lung purifying the putrid air of the preceding week. Attendance was surprisingly good, probably because most people wanted to escape the pressure cooker the city had become. Bereft of my usual techie Calabashmates who all decided to take a break this year, and staying at less than Lyric-al lodgings, I was apprehensive about how this tenth staging of Calabash would treat me. I needn’t have worried, it turned out to be the best one i can remember attending in a long time. The programme was tight and well-put together and the quality of the writers more even than in previous years. 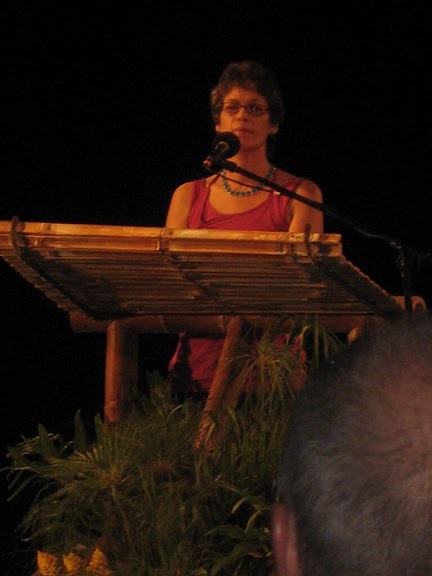 The organizers seemed determined not to mention the turbulent times the country had just been through but of course individual authors felt no such compunction and on Friday evening Diana Macaulay read out a ‘non-poem’ called Open Mouths she had produced in response to the blood-letting in Tivoli. will the storm turn away this time? Banton, one of my Calabash companions this year, had actually been shot at downtown by the armed forces who saw him peeping out from the Red Stripe Brewery where Roktowa is located. He had never been to Treasure Beach he said, could he come along? He proved to be invaluable, regaling us with stories about the different, wondrously named snappers (fish) to be found at Greenwich Farm. The God Bless Snapper, so called because ‘you see which part Jesus finger print one side a him’ and the Dogfeet Snapper which you steam ‘coz im gummy, you don’t fry dat fish deh.’ He also told us about a band of ‘robber police’ called Four the Hard Way who used to terrorize the residents of various downtown communities. in this post, save the very first one which i took, are by Hubert Neal. He recited several poems including “Your logic frightens me, Mandela” a few excerpts from which i present below. “Your patience grows inhuman, Mandela. Not on Robben Island. Checkers? Bad to worse. Soyinka also talked about the ‘Ogun element’ saying he didn’t believe in ‘good’ and ‘evil’ beings; everyone has a bit of the Ogun element in them; Ogun is a protagonist who uses violence when necessary. Soyinka was a closet glutton for peace he said, but not a pacifist. 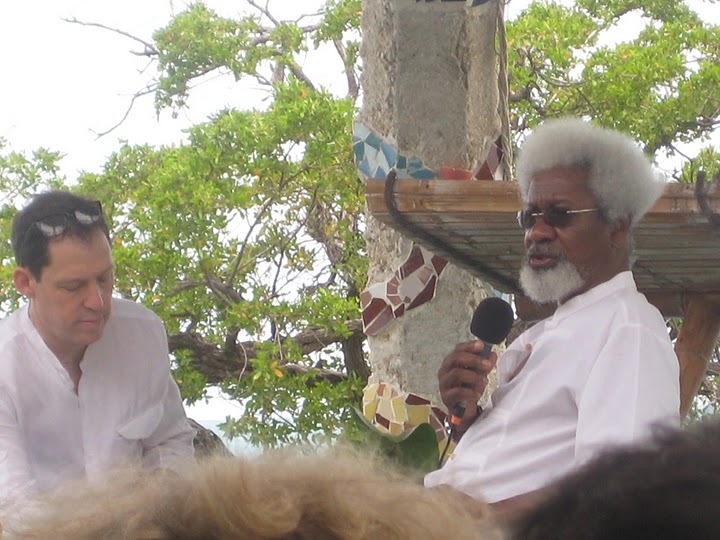 Lean and elegant, with his white mane and sonorous voice, Wole Soyinka was probably the highlight of Calabash 2010. Another highlight was the reading from The Last Enchantment by Neville Dawes, father of Kwame Dawes the Programme Director of Calabash. Winston “Bello” Black launched the reading by gesturing towards the recent warfare in the country when he said, “We are in a new Jamaica where there are no born JLPs or born PNPs, we are all born Jamaicans.” Leonie Forbes followed with a sparkling reading, her acting abilities allowing her to inhabit the various voices with aplomb. Minister of Agriculture Christopher Tufton started his segment by saying that on behalf of himself and “Peter Bunting, the only other parliamentarian brave enough to be here today: We promise to do better.” Bunting is the General Secretary of the Opposition Party. Surprisingly Tufton was also very good at animating the voice of Anansi and the entire reading was quite memorable. 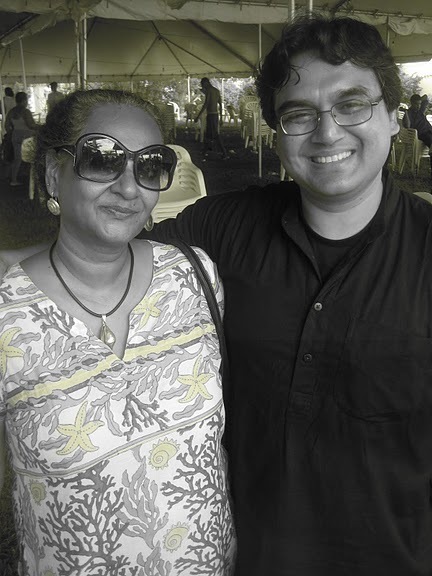 Regrettably I missed many of the poets; poet Sudeep Sen, who was flown in from Delhi, was nervous about following in the wake of the hugely popular Billy Collins but held his own, with his “brand of simplicity and unfussy, musical words” to quote William Abbott. Alas, I also missed the live performance by Freddie McGregor and Etanna the first night, as well as Russell Banks and Sharon Olds’ readings which i heard were excellent. I did however manage to catch the huge non-clash between Colin Channer and Mutabaruka on Saturday night, a musical healing that truly rubbed the pain of the previous week away. It was astonishing how many of the songs both Muta and Colin played really ‘spoke’ to the bloodletting in Kingston of the week before. The closing performance/reinterpretion by the Calabash Musical Ensemble (Wayne Armond, Seretse Small, Stevie Golding and others) of Marley’s album Uprising released thirty years ago was also exceptional, with the words to songs like ‘We no know how we and dem ago work it out’ this out or ‘WE…CAN MAKE IT WORK’ seeming eerily of the moment. 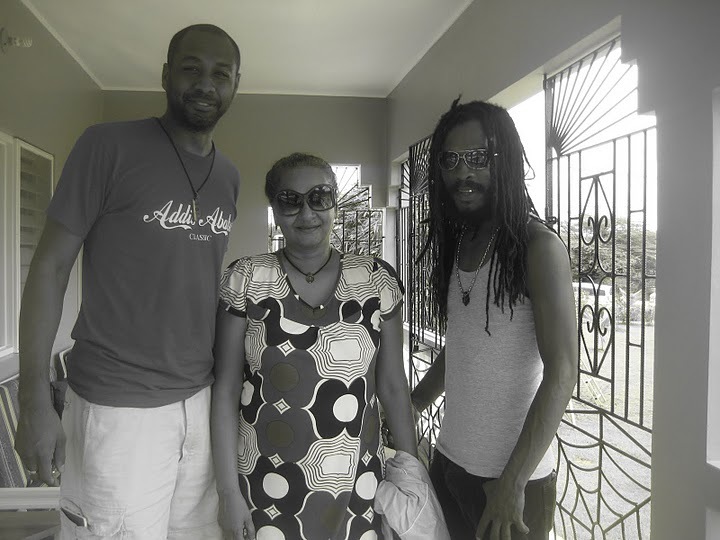 Calabash 2010 rocked, it really did. This literary festival provides a neat model for similar ventures that could showcase the best that Jamaica has to offer. Congratulations are due to Colin Channer, Justine Henzell and Kwame Dawes. May a thousand Calabashes bloom. Great photo. I didn’t know you were such a talented photographer too. I’ve been enjoying “following” you on FB this past week. The link to Patterson’s article was very useful, btw. I think it’s the best explanation so far, and thank goodness it came out in the NYTimes. Hopefully it will counteract some of the more rubbishy stuff out there. Good grief what a way the foreign press hungry for stories on Jamaica, eh? Keep up all that you’re doing! thought the Patterson article good because it took a macro-view which so few writers/commentators here do. Thank you for sharing these details. For those of us who can’t be there, this type of coverage is the next best thing!! Great post!! Of course, nothing to do with my picture 🙂 It was my best Calabash as well. Bought “Last Enchantment” after that Sunday morning reading. It was amazing!! Soyinka and that ‘ode’ to Mandela – simply amazing. I thought likewise when I met Mandela and realised he was a man of supreme peace…while I used to cringe at the mention of Robbins Island! Thanks much Annie although your post just made me regret more that I missed it!! Going to link on YardEdge.